This is one of the first games I ever made in PowerPoint. It’s simple, but quite good fun. 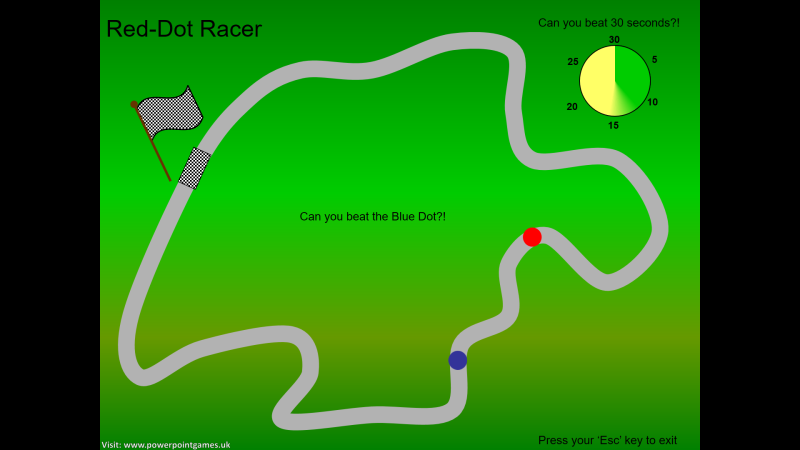 In this game you are racing against the blue dot as it makes its way around the track. It works on a similar principle to Hill Climb. When you click on the red dot it disappears and then reappears a little way ahead, so you click on it again and the process repeats until you complete a full lap. 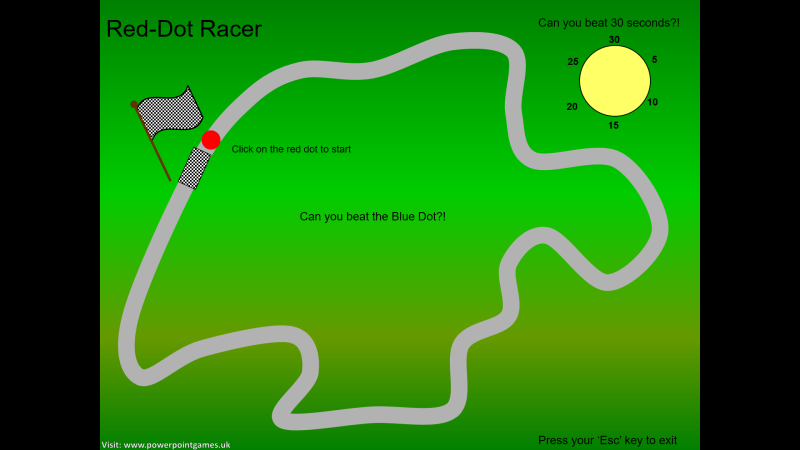 You can also race against the 30 second timer, so if you don’t beat the blue dot, you may at least finish within the 30 second target time.